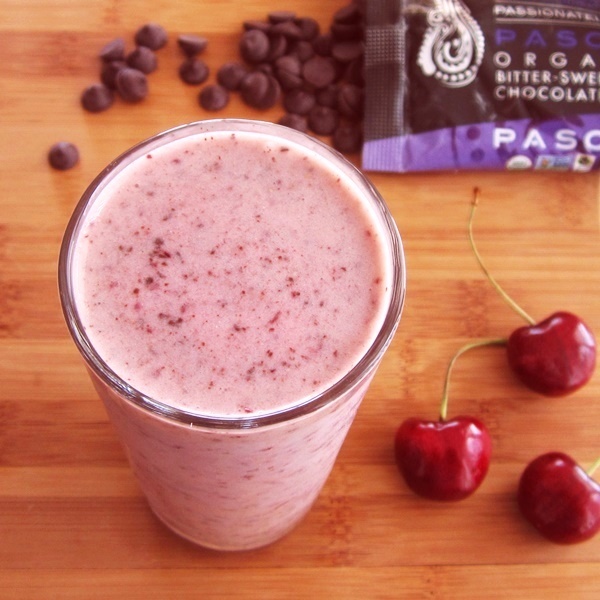 Amazing with fresh or frozen cherries, this simple, healthy cherry chocolate chip shake is spiked with one of my favorite new ingredients, bitter-sweet chocolate chips from Pascha Organic Chocolate. 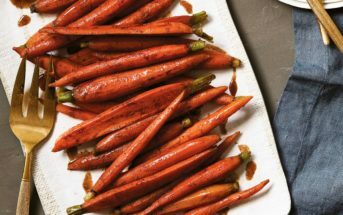 I use their 85% chocolate chips (purple bag in the picture below) for that bitter-sweet contrast, but they also offer 55% semi-sweet and 100% unsweetened (for you purist and paleo chocoholics!). All are made in a top allergen-free facility, non-GMO verified, gluten-free, and certified organic, vegan, and fair trade. But you are probably thinking, “Who would want to eat big chocolate chips in a shake or smoothie?” Of course, you can stick to enjoying these flavors in solid snacks like these delicious Chocolate Covered Cherry Protein Bites. But there is a tasty little trick for enjoying chocolate “chip” smoothies, too. Simply add the chips after your shake is prepared, pulse the blender a few times to break them into shards and distribute throughout – and voila! 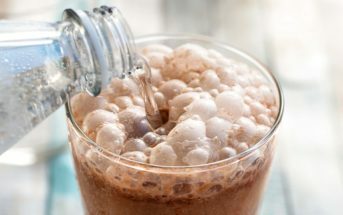 An indulgent treat that offers the vibe of chocolate chip ice cream in a nutritious, thick, breakfast-worthy smoothie. And though this cherry chocolate chip shake is amazing with fresh cherries, the season for this brilliant stone fruit is rather short. Feel free to sub frozen cherries if needed, but as noted in the recipe, you may need to let your fruit defrost a touch before blending, or use a fresh banana. 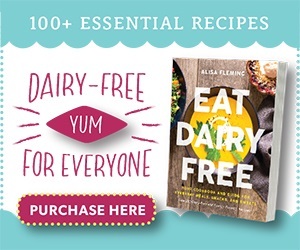 By ingredients, this recipe is dairy-free / non-dairy, egg-free, gluten-free, grain-free, optionally nut-free, optionally peanut-free, soy-free, vegan, vegetarian, and optionally paleo. 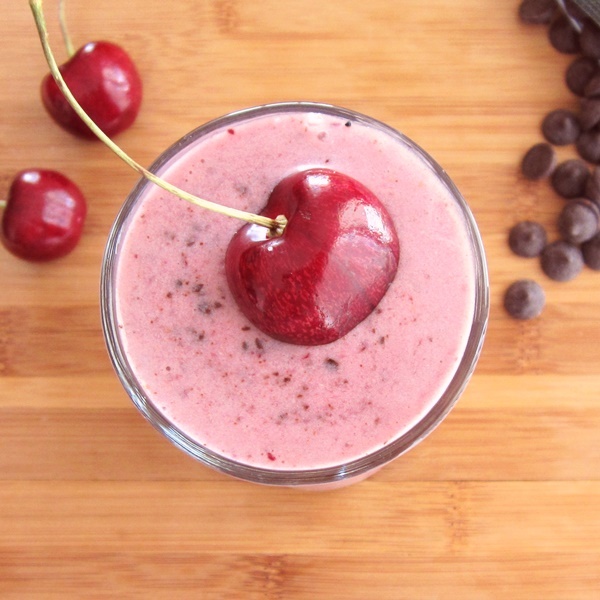 In fact, this cherry chocolate chip shake is generally top food allergy-friendly! 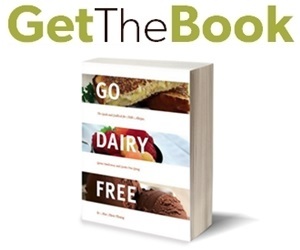 For a top allergen-free treat, use coconut milk beverage or rice milk, sunflower seed butter or a "safe" dairy-free protein powder (i.e. rice or hemp), or omit the add-in. Place the cherries, banana, milk alternative and nut/seed butter or protein powder (if using) in a blender, and process until smooth and creamy. Taste test, and blend in stevia or desired sweetener, to taste. Add chocolate chips and pulse a few times with the blender, just to break them up and distribute. Frozen Cherries: If using frozen cherries, you will want to partially defrost the banana, use a fresh banana, or increase the liquid (to get things moving!) and sweetener, to taste. Cherry season is my favorite. I just love putting them in shakes and smoothies too so I can’t wait to try this. I’m pinning this one! I love how it sounds. I used to be into shakes of all kinds for a long time and moved away from them. It’s time I returned. Any day now for those fresh cherries! This looks amazing! I can’t wait to give this a try! 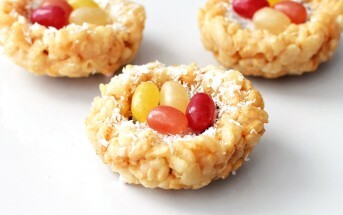 Thanks Renee – I hope you do get the chance to enjoy this recipe. This time of year is perfect for enjoying cherries. Especially love this healthy and dairy free smoothie for mornings! Perfect after school snack for my kids. Yes, this one is totally kid-friendly! I LOVE how there is a paleo option here Alisa- I may be a strange one but I love 100% cocoa chocolate- Albeit in small quantities! Choc + Cherry = amazing! I love the chocolate cherry combination! This smoothie is just perfect for summer. 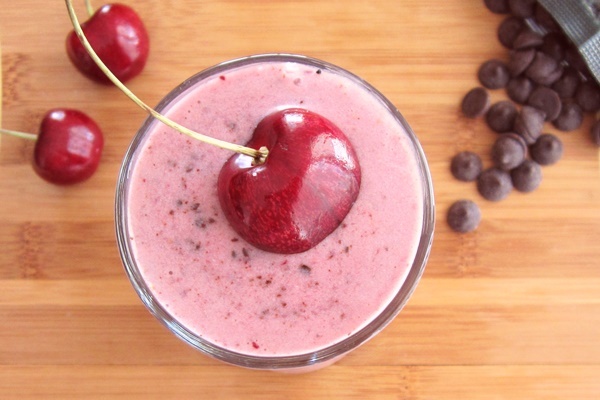 I love the addition of the cherries, bananas and nut butter here. Almond and cashew butter are my favorites but I’ve never tried sunflower seed butter before. I’m tempted to try it just to taste the flavor – can you describe it? If you were to compare sunflower seed butter to another, peanut butter would be the closest, but it’s still different – not quite as sweet and nutty. It has a slight bitterness, which is why most varieties are lightly sweetened. we have a cherry tree at our current house, which I LOVE. looking forward to cherry season, I WILL be making several of these! just wondering if you have the nutritional breakdown? 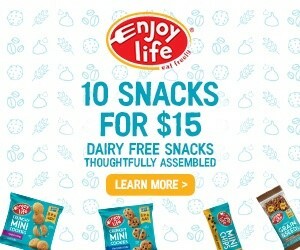 I’m a nursing mama whose LO is having issues with dairy/soy…trying to find me a quick bkfst smoothie that meets criteria but also includes a good amount of protein and healthy essentials. TIA!! Hi Crystal, no, I don’t. You can look it up using a nutrition info site. You can always add protein powder. 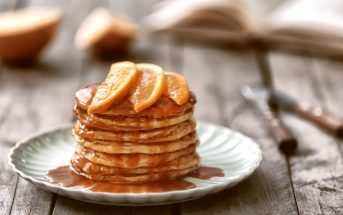 The banana adds sweetness and body, so it is essential to the recipe written as is. You can try subbing frozen avocado plus sweetener to taste. Or increased the cherries and use frozen cubes of coconut milk. Thanks for the substitution suggestions. I also have issues with banana. This sound great. Always happy to offer any options that work well! Pingback: The Scientific Proof: How and Why Chocolate is Healthy!